On Friday is the premiere of the most awaited movie of the year: “The Force Awakens”, the seventh chapter of Star Wars, is released on theatres. As you might imagine, we are dying to watch it! And it seems that we are not alone: a couple of months ago social networks were getting ready for the premiere of the new movie. Emojis and huge helmets flocked the city, everything is set to create expectation around Episode VII of Star Wars. When the first trailer of the movie came out a year ago, social networks went crazy. Twitter experienced part of this galactic fever, adapting its hashflags like it did in the past during the World Cups or Eurovision. 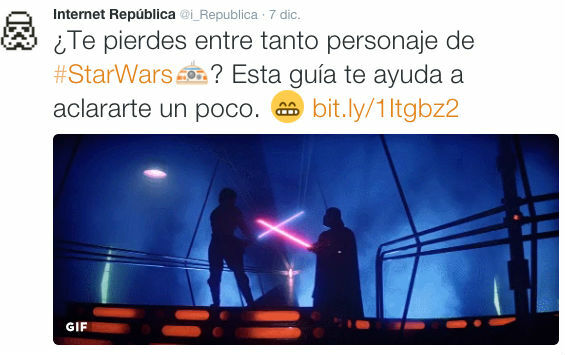 Twitter has introduced hashtags related to Star Wars that featured emojis with different characters of the saga. This have come and gone as Disney was revealing news, that is, very slowly. The premiere takes place in just a few days, and the hashtags are active again flooding our timelines with miniature characters. But it will not be for us to complain! The exhibition “Face the Force” flooded the streets of Madrid during a month, where we could see the different helmets from the movies, like Stormtroopers, the Rebels… Even Darth Vader had a replica of its epic helmet in the center of Madrid! With these helmets came a challenge: collect selfies together with them. It was like Pokémon: Catch ’em all! Hundreds of people went out in search of all the replicas to take a selfie with each of them. The pictures were uploaded to social networks using the hashtag #facetheforce, which made the exhibition go viral and gain a lot of notoriety. In turn, Twitter and Instagram saw thousands of Star Wars helmets on their sites, which is always good. Facebook did not want to lag behind. 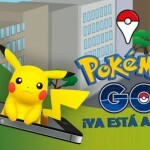 That is why the company launched downloadable stickers of the most popular characters of the saga to illustrate both comments and private messages. Stickers are one of the trends that Facebook is promoting more and more lately. Although this stickers are basically aesthetic, just as happens with Line, they help introduce Star Wars in daily conversations between friends and increase the expectation even more. We are as ready as social networks for “The Force Awakens”, and we plan to spend the week tweeting about it. 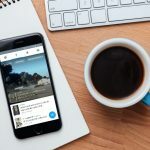 Twitter Moments: What are they?